If you don’t want to fill up your space with a huge Hi Fi system and don’t like playing your music off a portable speaker, then mini Hi Fi systems were developed with you in mind. Mini Hi Fi systems have been evolving over the years and while they are compact, some pack features that you can find in their larger systems but in a sleek design (See top 10 Hi Fi Systems of 2017). Therefore, you will not be compromising on the quality of sound at any given moment. 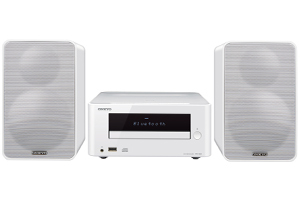 Still wondering which Hi Fi system will suit your style and taste? Here are 5 of the best mini Hi Fi systems in 2017. 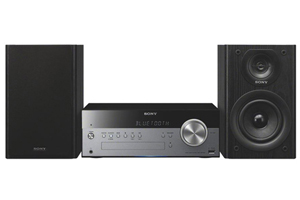 The Sony CMT-SBT100 is a more traditional looking compact audio system that produces high quality sound. It has two amplifiers with each producing up to 50W, enough to fill up a whole room. It features a CD system, FM and AM radio tuners and USB port. This mini Hi Fi also supports Bluetooth. It allows you to stream content directly from your Bluetooth device to your system. The compact nature of this mini Hi Fi allows it to fit anywhere, i.e. from homes to dorms. This system features a stylish exterior that makes it perfect for any room design. It features a CD player, AM/FM radio tuner, and a convenient front panel USB port. The USB port can be used to connect Apple devices as well as flash drives. 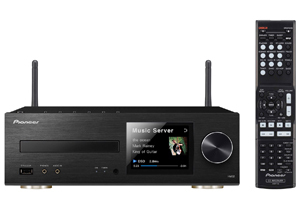 If you were thinking about streaming music straight from your phone or audio player, then the Onkyo CS-265 is a great choice for you. When it comes to its sound output, it features a 2-way bass reflex loudspeakers which has an easy-to-use Super Bass feature. For a small system, it surely delivers powerful sounds. This is another traditional looking system which is conveniently packed with the latest technologies. It features high resolution sounds, front facing USB port and a CD player. However, what makes it better than other mini Hi Fi systems is its ability to be used for a multi-room setup. By activating it, you can play music straight from your system to other devices in your home. 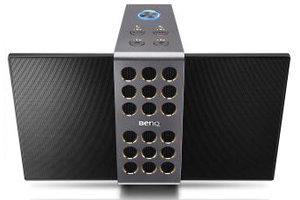 If you are looking for something that is more stylish and different from the traditional look of Hi Fi systems, then the BENQ TreVolo is a great choice. It features flat panel speakers that can be folded out, two passive radiators and two woofers. Moreover, the system can be able to run on AC or its own rechargeable batteries which can last it up to 12 hours. The TreVolo is also Bluetooth enabled which allows users to stream music directly from other devices directly into the system. You can also be able to connect a CD or a USB to the system. When it comes to compact sound systems, the Pioneer brand knows how to do it well. The X-HM76D is a perfect example of this. It features high resolution audio, Bluetooth, 50W per speaker, Airplay and integrated music services. The system can seamlessly connect to internet radio and allows you to stream directly from Spotify, Deezer and Tidal (of course for a fee). Furthermore, you don’t have to worry about having an old system in the future. This is because the Pioneer X-HM76D gets free updates periodically. Thanks to this, Chromecast and FireConnect have also been loaded into the system. Lifewire also has an interesting list on the best mini Hi Fi systems of 2017. You should also check this on trends shaping the Hi Fi industry to get a feel of exactly what you should be buying. Do you have any additions to the list? Feel free to share it with us in the comments section below.